SQA Computing Science and S3 Broad General Education. 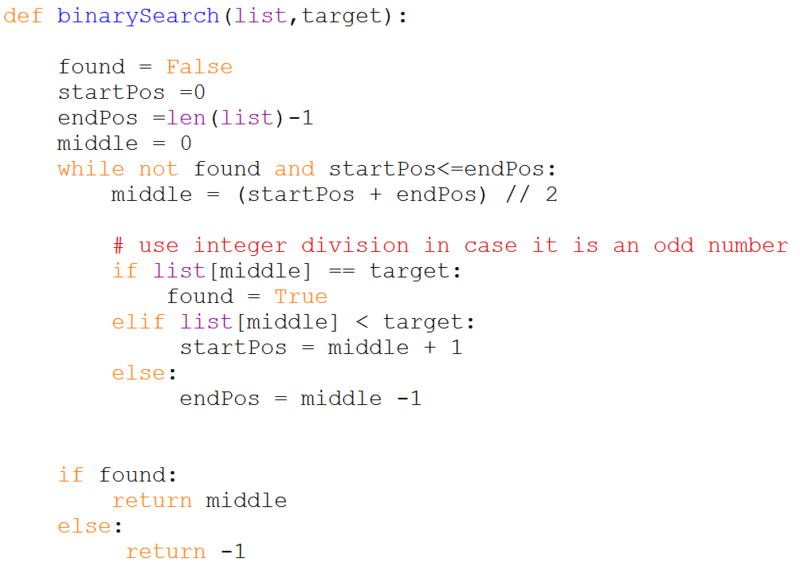 Binary search is a more efficient way of searching a sorted list. The Python function given gives you an example of how this might be implemented. It either returns the found position or -1 meaning that the value has not been found. There are other implementations available that make use of different constructs including recursion.